Duct tape jewelry? Doesn’t sound classy, right? Wrong! I whipped up a batch of duct tape bows are easy to make and with the variety of Scotch Colors and Patterns available, you’ll never run out of ideas. If you’re like me, you’ll end up making a big batch. I used them for pins, rings and my favorite – necklaces. 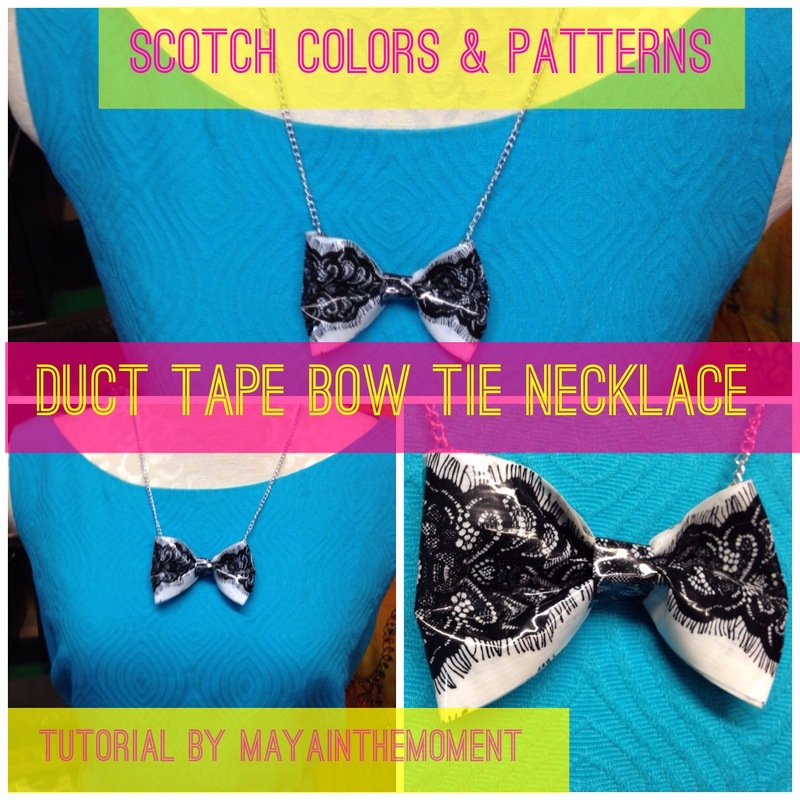 Here’s a classy spin on duct tape! To make a 3” bow, cut a 15” strip with craft knife. Cut two half-inch strips for the backing and the center of the bow. Then fold long strips together, and fold ends into center. Using one of the two half-inch strips, seal the back. It’ll look like a chunky bracelet. Pinch center to create the bow look, and wrap the last half-inch strip around the bow. Punch a hole in the back top layer on each side of the bow. Attach jump ring to each side. Cut two 9” strips of necklace chain, and attach chain to jump rings. Close jump rings tightly with needlenose pliers. At a jump ring on one of end necklace chain, then add the necklace clasp on the other side using needlenose pliers. This post is a collaboration with Scotch Colors and Patterns Duct Tape.